This luxurious concealer brush is a star performer! You may use it to apply highlighter and shadows in those hard-to-reach places, or to blend concealer carefully. 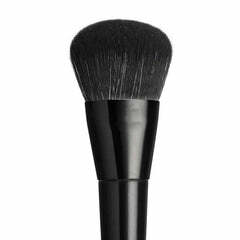 This professional brush is made of vegan bristles for a cruelty-free alternative to your favourite makeup tools. 19cm full length. Bristles - 1.5cm high, and 8mm wide.